Prominent & Leading Manufacturer from Bengaluru, we offer cash drawers, customer feedback system, customer pole display, customer pole displays, finger print system-pos peripheral and kiosk touch screen. Our enterprise is the remarkable name in the market deals in manufacturing and supplying an extensive range of Cash Drawers. 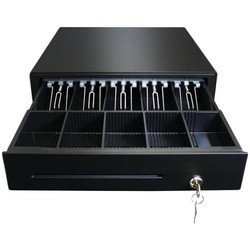 These cash drawers provide complete mechanical and lock design for maximum security. 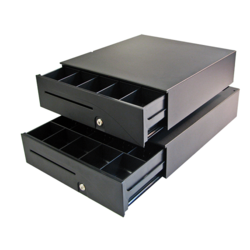 The offered cash drawers can be customized as per desires of the customers. Our offered cash drawers are thoroughly monitored at the time of manufacturing in order to ensure their quality. We are the prominent manufacturer and supplier of an extensive range of Customer Pole Display (Pd320). 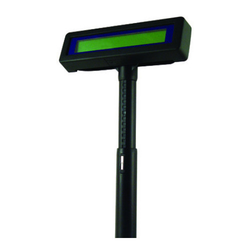 Our offered pole display offer optimum level of performance with excellent results. This pole display is designed using latest technological developments under the guidelines set by the industry. Offered pole display is provided at affordable rates from us within a given time frame. We are offering Customer Pole Displays to our clients. We provide high-quality products to our clients. 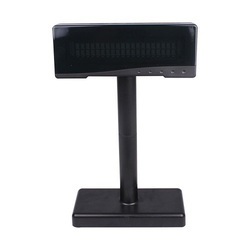 Customer Pole Displays are Pd303 - 2*20 LCD customer display, black without stand for the tabletop mount, USB I.f. We are offering Finger Print System-POS Peripheral to our clients. We provide high-quality products to our clients. with Fingerprint (biometric sensor) inbuilt. We are offering Kiosk Touch Screen to our clients. We provide high-quality products to our clients. SA305 MSR for XT series with IN built fingerprint reader USB interface 2in1. 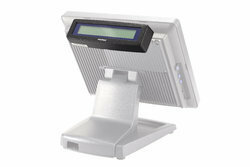 We are offering Restaurant POS Hardware to our clients. We provide high-quality products to our clients. SA105 for JivaXT4015 / 3915/6715 /4215 as side attachment with 3 track MSR, USB interface. 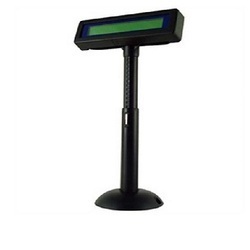 We are engaged in manufacturing and supplying a wide range of Magnetic Stripe Reader that consumes less power and voltage, this stripe reader is provided in numerous specifications as per the need of customers. Our offered stripe reader is designed by our professionals using quality materials as per with industry norms. We also deal in Metal Base Pole Display. The offered pole display is capable of desktop mounting and height adjustment. This pole display is demanded in the market due to its optimum finish. We are the leading supplier of Modern Stores Cash Drawer. Clients can avail the products at best market prices. 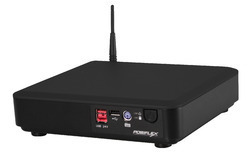 We are offering POS Box -POS Peripheral to our clients. We provide high-quality products to our clients. We are offering Point Of Sale Box to our clients. We provide high-quality products to our clients. delivering to customers in order to assure its quality at customer’s end. 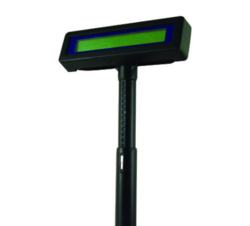 We are offering RS232 POS Pole Display to our clients. We provide high-quality products to our clients. With Pole LCD char., RS232 interface + Ext PA. Supported with rich industry experience, we are engaged in manufacturing and supplying a high-quality range of Retail Pole Display. The offered pole display is capable of desktop mounting and height adjustment. This pole display is demanded in the market due to its optimum finish. Our offered pole display is checked before delivering to customers in order to assure its quality at customer’s end. 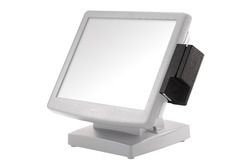 We are offering SA305 MSR POS Touch Screen Monitor to our clients. We provide high-quality products to our clients. SA305 MSR for XT series with IN built Fingerprint reader USB interface 2in1. 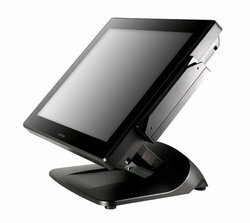 We are offering SA305 POS Touch Screen Monitor to our clients. We provide high-quality products to our clients. SA305 MSR for XT series with IN built Fingerprint reader USB interface 2in1. 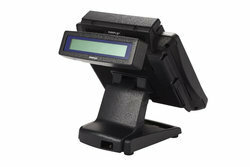 We are offering PD360UE POS Customer Display to our clients. We provide high-quality products to our clients. PD360UE for PS3316/16, rear attachment, LCD display USB i.f. (Virtual COM PORT serial emulation), Black. We are offering POS Display Stands to our clients. We provide high-quality products to our clients. Features:PD350 for Jiva XT4015 /6715/3915/3715/5415/5315 series, LCD display USB i.f. We deal with Programmable Keyboard. We also deal with Kiosk Programmable Keyboard. Programming under DOS (KB-6800 only) and Windows, multiple page, multiple level, whole range key content, time delay, position sense answer back code, etc. We are offering Mini Magnetic Card Reader to our clients. We provide high-quality products to our clients. 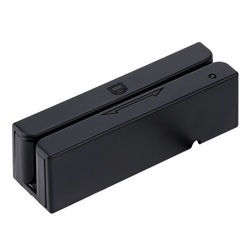 Magnetic stripe reader to read any track of 3 tracks, USB. We are offering POS Customer Pole Display to our clients. We provide high-quality products to our clients. PD303 LCD customer display, black without stand for tabletop mount, USB I.f.